Wii Music now available from Amazon you can preorder it Wii Music and get 20% discount on your next purchase..
Firefox 3.1b score on ACID3 test 88, I guess until the final version comes later this year the score will be 100. Just to remind you that Firefox 3.0 scored 71. 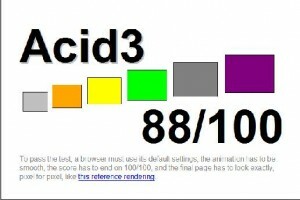 The Acid test, for those who do not know, tests how well a browser complies with a given set of Web standards.